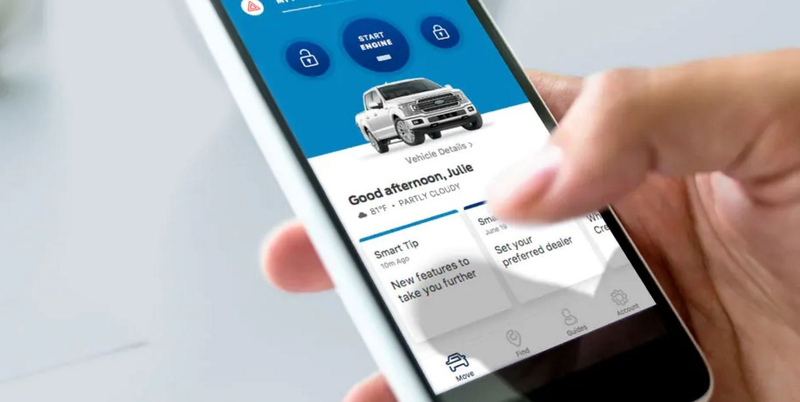 While most vehicles have more differences than similarities, there is one thing that most new Ford vehicles have in common – a wide range of features at your fingertips that are all empowered by one of the coolest smart phone apps available. This one-stop mobile app takes what you used to do with multiple apps and helps you move through your day smarter, better and easier than ever before. Along with the ability to access your vehicle’s information and service needs right from your smartphone, which includes scheduling your next service appointment with ease, you can also unlock and start your vehicle or check your fuel level with just a tap. Have you ever wished that you had someone ahead that could alert you to obstacles in the way? With the FordPass app this is more than possible. By calling a FordGuide right from this app you will have someone right there to guide you down the road until you get where you need to be safely. What is one of the most frustrating things about driving to any busy cities? If you answered finding a parking space, then you will be happy to know that the FordPass app lets you quickly find parking ahead of time. Parking marked with the calendar icon is reservable and you can pay for it right from the app. You can even remember where you parked thanks to the Vehicle Locator feature. After a long day at work who really enjoys sitting in a cold vehicle waiting for it to warm up or even walking to your car in a dark parking lot all alone? Thanks to FordPass you will never have to worry about this again. In fact, you can even schedule a remote start any day, any time. Whether your calendar is routine or chaotic, your vehicle will always be ready. The FordPass App even helps you avoid a huge traffic jam by providing live traffic information that streams directly to your smartphone app. So, if you have been spending most of your mornings rushing to work and winding up in yet another wait your Ford vehicle can help you get to work on time all with the tap of a finger. If your smartphone plan doesn’t include a Wi-Fi hotspot, downloading this app can also provides you and your passengers with a hotspot that will keep your kids educated and entertained on each trip. You can even have up to 10 devices connected to this hotspot at a time. Want to know which Ford vehicles put you in the driver’s seat from anywhere thanks to the FordPass app? 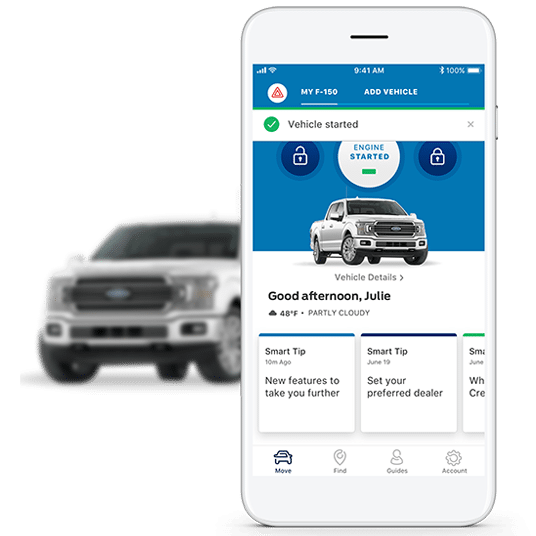 Along with the popular new Ford F-150 truck there are many Ford sedans, SUVs and even the coolest and most historic Ford muscle car – the Ford Mustang – offers this one of a kind smartphone app and will keep you connected no matter where you roam. Get to any of your Ford dealers in Southern California to check out your choice of new Ford models today.